RUN AND PLAY FLEXIBLE. 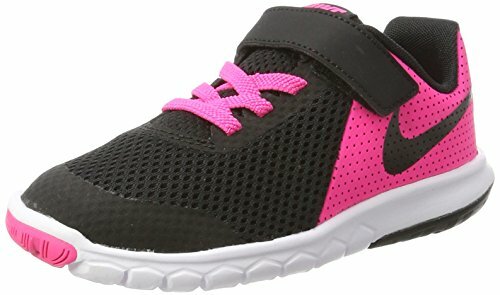 Get down to the basics in the Girls' Nike Flex Experience 5 (PSV) Pre-School Girls' Shoe. Minimally designed and ultra-flexible, it delivers an optimal balance of comfort, support and breathability. Mesh and synthetic leather upper for a comfortable, supportive fit. Durable foam midsole/outsole provides lightweight cushioning. Hexagonal flex grooves promote multidirectional flexibility.